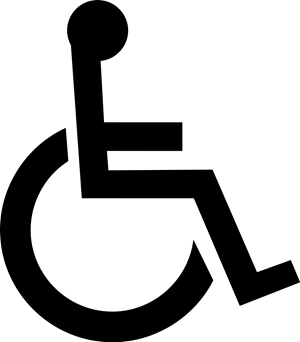 Disabled people, the BID and a group of pupils from Prince Henry’s Grammar School are undertaking a disability access study of the town in the near future. As part of the study the pupils will use wheelchairs and goggles that simulate loss of sight, amongst other things, in order to replicate the issues experienced by disabled visitors to the town. Results of the study will be published in a future Economic Bulletin and it is hoped the outcomes will give everyone ideas on how to improve the offer that is already available in the town. 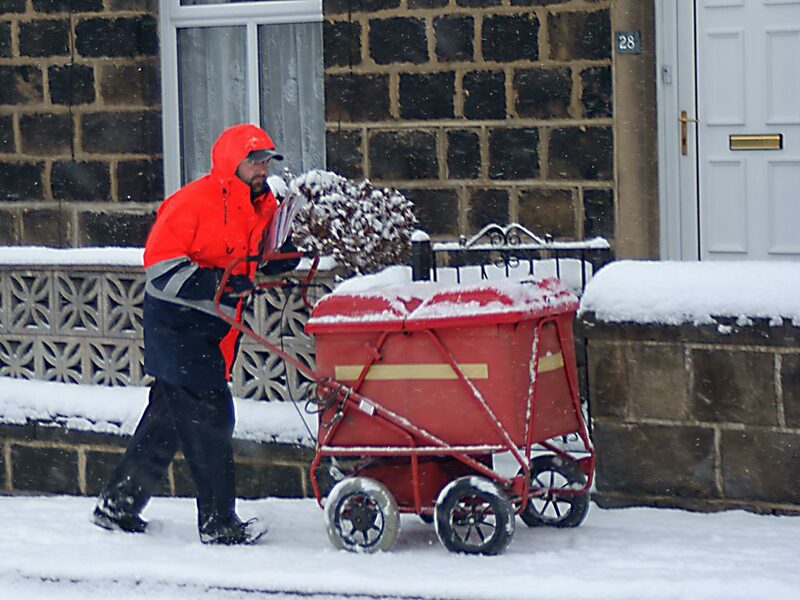 The recent heavy snow and ice once again highlighted the need for gritting on our roads and footpaths. The Highways department do as much as they possibly can but inevitably areas get missed occasionally. One particularly badly affected public area is the footpath over the bridge. 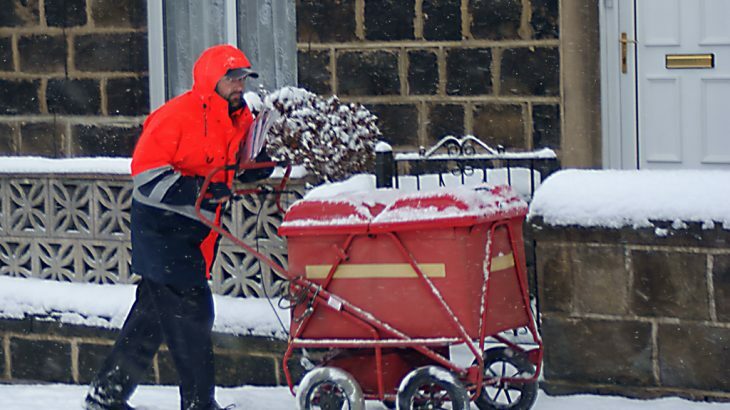 B&TS Builders Merchants have very kindly agreed that their staff will grit the footpath whenever bad weather affects it. We would like to thank them for their generosity. Since the beginning of the BID term we have work tirelessly to improve the offer in the town for coaches and coach drivers. There is still a long way to go but the work we have done so far was recognised at a ceremony held in Birmingham on 21st March. Otley was shortlisted at the awards ceremony in the “Coach Friendly Destination” category. The competition was tough, 7 villages, towns and city regions were nominated (Bournemouth, Burnham-on-Sea, Devon, Guilford, Wells, Beverley and ourselves). Beverley were the eventual winners but we were very proud to be included in such a prestigious event. The current 5 year term of Otley BID will end in March 2019. 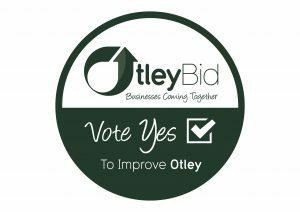 If we are to continue for a further 5 years we have to hold another ballot to gain permission from Otley’s businesses to do it again and provide you with a new Business Plan. That ballot will be held in October 2018. We are in the process of putting the new Business Plan together using feedback from the recent Businesses Summit and conversations with individual businesses. A copy of the 2019/24 Business Plan will be sent to you as soon as it is ready. Latest Otley BID, Otley BID Update, Visit Otley, whats on in otley. permalink. Could I ask the BID that in order to encourage businesses to vote yes for the 2nd term that the BID might like to list all of the achievements it has done over the last 5 years as this may then help people’s memories in making their decisions. Also in your statement of expenditure you state from the £400,000 raised each 5 years that you have spent £270,000 so far with £70,000 allocated for this year. Can I ask as to what and where the remaining £60,000 is or when being spent. to spend by 31st March 2019. As discussed, we are working on your suggestions as we speak, but in the meantime you can refer to our BID Update 2016 and subsequent posts on our website and social media to see the work that we have done and are currently working on.